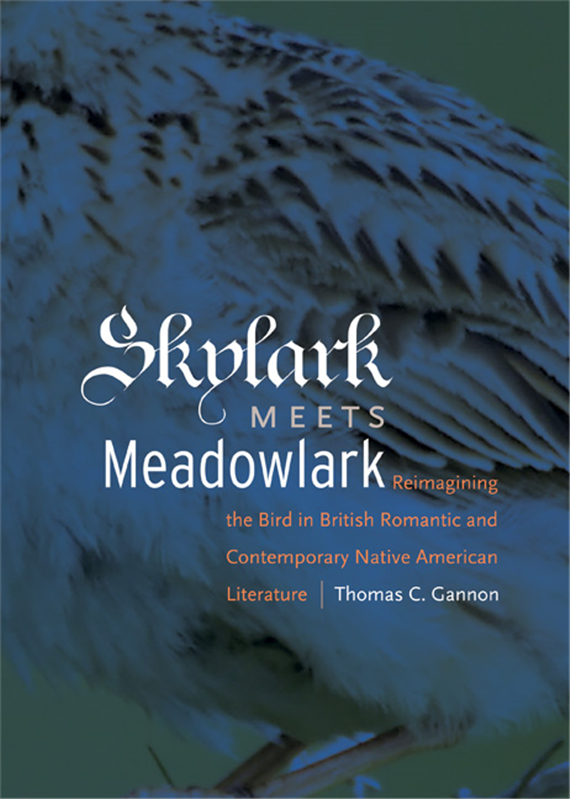 Skylark Meets Meadowlark: Reimagining the Bird in British Romantic and Contemporary Native American Literature (University of Nebraska Press, November 2009). Presentation: "Evolution & Its Discontents: Darwin, Indians, and Zoos." Celebrating Darwin’s Legacy symposium, UNL, 28 March 2009. "Complaints from the Spotted Hawk: Flights and Feathers in Whitman's 1855 Leaves of Grass." Leaves of Grass: The 150th Anniversary Conference (forthcoming, U of Nebraska P, 2006). Presentation: "The 'Eco-Indian' in the 21st Century." U.N.I.T.E. [University of Nebraska Inter-Tribal Exchange] Brown Bag Discussion, University of Nebraska-Lincoln, November, 2005. Conference paper: "A Fatal Frontier: The Passing of the Passenger Pigeon into Western Nostalgia." John R. Milton Conference, Vermillion, SD, October 2005. Ethnic Studies panel presentation: "The Ward Churchill Aftermath and the Importance of Ethnic Studies." University of Nebraska-Lincoln, September, 2005. Introduction, to the UNL Electronic Text Center digital project, Birds of Nebraska: Newspaper Accounts, 1854-1923, 2005. "Reading Boddo's Body: Crossing the Borders of Race and Sexuality in Whitman's 'The Half-Breed: A Tale of the Western Frontier.'" Walt Whitman Quarterly Review 22.2-3 (Fall 2004/Winter 2005): 87-107. "An Essay on Eagles." South Dakota Review 42.3 (Fall 2004): 142-149.
Review of Genocide of the Mind: New Native American Writing, ed. MariJo Moore. Great Plains Quarterly 24.4 (Fall 2004): 302-303. "Of Avians & Indigenes: Preliminary Notes on the Orientalization of the New World Native & Natured Others. "Literature Compass, Summer 2004. "Meeting the Master." Dear Walt: Poems Inspired by the Life and Work of Walt Whitman. Iowa City: U of Iowa P, 2003. "A Most Absorbing Game: The New World Bird as Colonized Other." The Ampersand 11 (Jan. 2002). "The Writing Lab as Site of Cultural Hybridity." Midwest Writing Centers Association Conference. Springfield, MO. 29 Oct. 1999. "Bird Poem." The South Dakota Review 21.3 (1983). Reprinted in The South Dakota Review 29.3.ii (1991).